Spring is here, and the beauty of Flagstaff spring 2017 scenery is alive and becoming more and more vivid with color everyday. Amidst periodic snow bursts that melt upon landing, Flagstaff has the signs of spring blossoming everywhere. 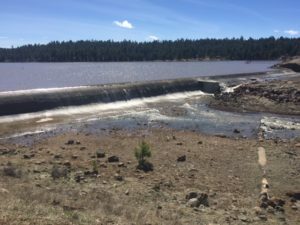 Even Lake Mary has taken on some record high water levels for this spring season. 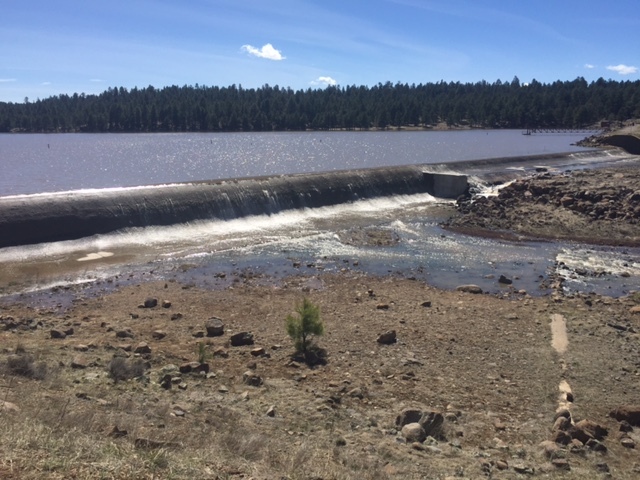 Water activities may excel our expectations this year with snowmelt overflowing the Lake Mary dam and flowing through runoff spillways allowing for early watering of side canyons and meadows. Extra water benefits wildlife and beautiful wildflower growth in spring and summer. In the midst of awakening wildlife and beautiful spring weather and blossoms, Flagstaff welcomes the April 1-30 Recycled Art Exhibition at the Flagstaff Mall by the Artists’ Coalition of Flagstaff. April 1 is the family friendly art exhibition opening reception from 6-8 p.m. with special demonstrations and guests on every Saturday in April. Art will also feature military veterans’ artwork. Spring in Flagstaff also welcomes the popular tourist acclaimed First Friday Art Walks in downtown Flagstaff. April First Friday Art Walk is on April 7 with a number of downtown businesses opening their doors to local artists and live music. To highlight a few other spring events, we find April 28 bringing a night of music by the Flagstaff Master Chorale singing a number of American Masterpieces at the Coconino High School mini-auditorium. The Orpheum features a number of spring musicians, films and even film festival this spring. May 5-7 brings the Chillin’ in the Pines Hockey Tournament. This event is hosted by the City of Flagstaff at the Jay Lively Ice Rink. May 6, 2017 features our family friendly Bubble Palooza event featuring facts about bubbles, bounce houses for kids, bubble blowing contest, a variety of food vendors and much more! This event and many others are fast becoming a Flagstaff favorite for families and friends. 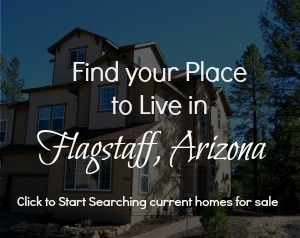 If you find Flagstaff in your spring travel agenda, do not forget your jacket and jeans. Temperatures this time of year can be in the lovely 70’s or drop down below freezing in a short matter of time. One never can quite predict the weather as the season slowly shakes off winter and allows spring warmth to reign. Team Three 23 welcomes you to the wonderful mountain scenery and events of Flagstaff, AZ this spring. If your eye is on real estate, let us help you make your mountain retreat become a common reality. 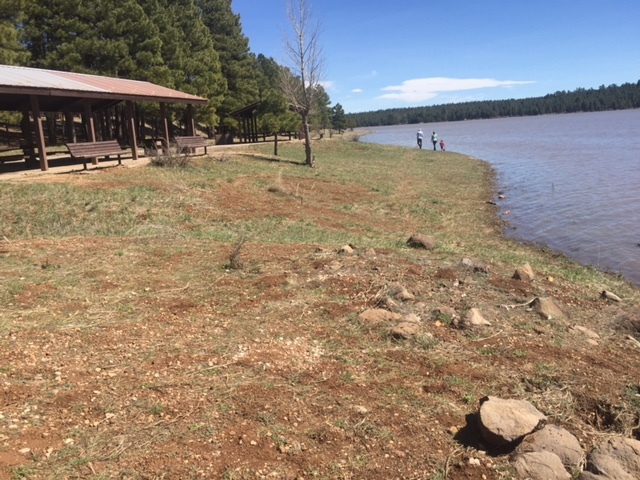 Posted in About Flagstaff, Adventures, Events, Music, Places to Live, Places to Play, Places to Shop and tagged Family Fun, Flagstaff Artist, Flagstaff Neighborhood Activity, Lake Mary, scenery, spring events in Flagstaff, Things to Do.